Get COURSE FEES Instantly from GSTMANN! We have a team of professionals who are expert in various educational backgrounds like commerce, law and accounts. A good office infrastructure has also enabled us in time bound services. GSTMANN.COM is a technology driven service portal helps providing the business solutions to the business. 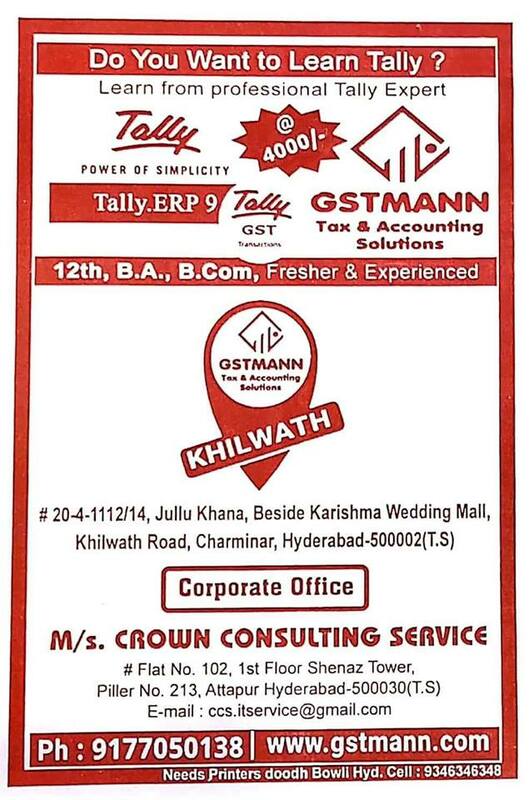 Who Can Join Tally ERP 9 offline Course with GST? Business Owners :- Even if a business owner or top management donâ€™t do data entry work in tally, then need to have knowledge of Tally Software so that they can analyze data, keep an eye on cash and fund flows, profits, finance, reporting and other valuable information that helps them in Decision Making.